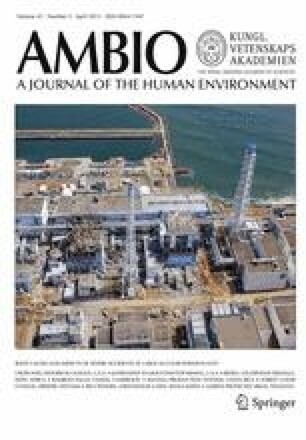 The root causes and impacts of three severe accidents at large civilian nuclear power plants are reviewed: the Three Mile Island accident in 1979, the Chernobyl accident in 1986, and the Fukushima Daiichi accident in 2011. Impacts include health effects, evacuation of contaminated areas as well as cost estimates and impacts on energy policies and nuclear safety work in various countries. It is concluded that essential objectives for reactor safety work must be: (1) to prevent accidents from developing into severe core damage, even if they are initiated by very unlikely natural or man-made events, and, recognizing that accidents with severe core damage may nevertheless occur; (2) to prevent large-scale and long-lived ground contamination by limiting releases of radioactive nuclides such as cesium to less than about 100 TBq. To achieve these objectives the importance of maintaining high global standards of safety management and safety culture cannot be emphasized enough. All three severe accidents discussed in this paper had their root causes in system deficiencies indicative of poor safety management and poor safety culture in both the nuclear industry and government authorities. IAEA PRIS. 2012. IAEA Power Reactor Information System Data Base. http://www.iaea.org/pris/. Nomura, S. 2012. Lessons learned from the Fukushima Accident. Presentation at the ASME Workshop on Forging a New Nuclear Safety Construct, Washington, DC. http://events.asme.org/NuclearSafetyConstructWorkshop. U.S. NRC. 2009. NRC Backgrounder on the Three Mile Island Accident. U.S. NRC Office of Public Affairs, Washington, DC. http://www.nrc.gov/reading-rm/doc-collections/fact-sheets/3mile-isle.pdf.